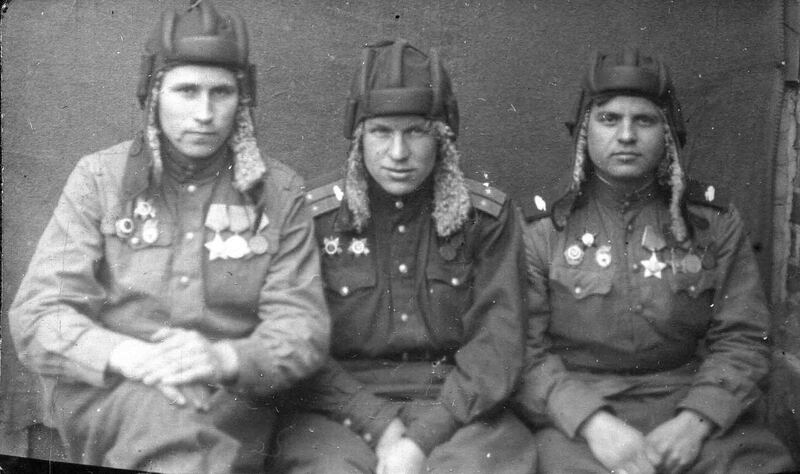 Portrait Three tankmen of the 88th separate Guards heavy tank regiment (JS-2) – Shumigin and Pervukhin with Lieutenant V.I. Kuznetsov. Pervukhin has two Orders of Glory. Photo beginning of 1945. Germany.